Drea here with another layout featuring Basic Grey's South Pacific Collection! These adorable, old photos of my little sister have been sitting in a box just waiting for this beautiful collection to come along. 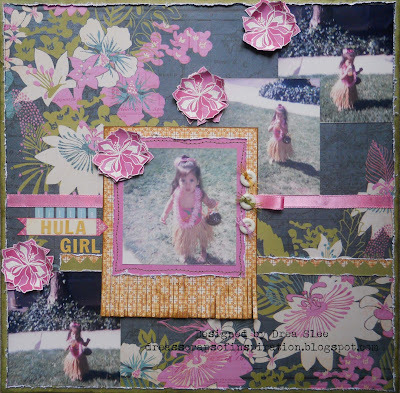 I created a diagonal design by layering the square photos across the floral (Tonga) paper. Then I matted the middle photo with the pink (Fiji) paper, distressed the edges with my Tim Holtz Paper Distresser, and machine stitched it to the yellow (New Caledonia) paper. 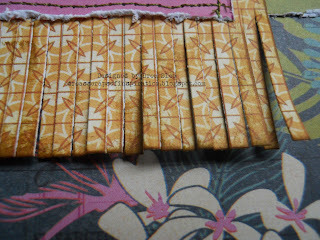 To make the fringe along the bottom, I used my paper cutter following the lines on the paper, and cutting in between them. To enhance the fringe a little more, I went over it lightly with Distress Ink (Vintage Photo). 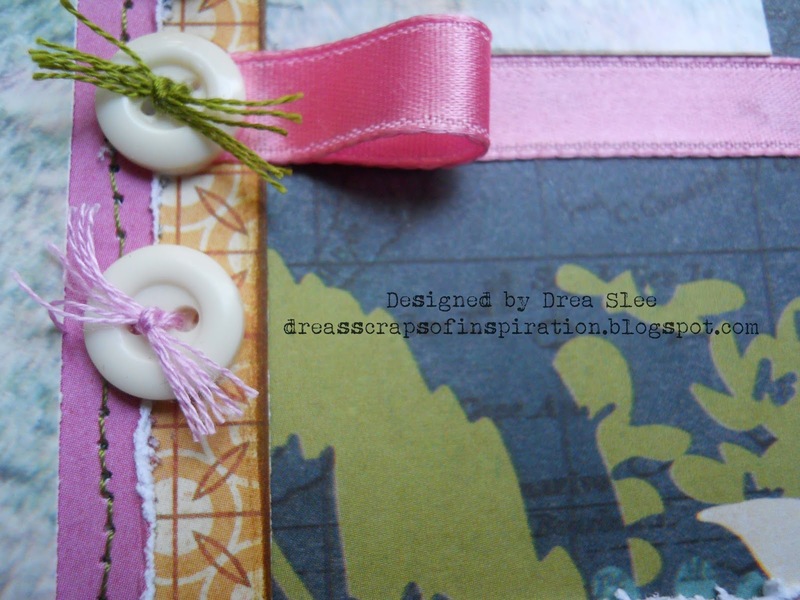 With the pink ribbon I created a loop, adding the white buttons, all of which comes in the Ephemera hand-selected exclusively from FotoBella. I used the same pink (Fiji) paper to make the flowers with the Enjoy The Journey Clear Stamps, embossed with Ranger Sea Foam White Embossing Powder. To give them a little more depth, I colored part of them with a darker pink marker, fussy-cut them, and curled the petals up. 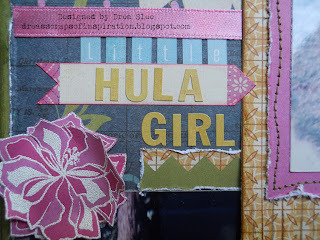 Then I used the stickers to create my title. Thanks for your visit, and have a wonderful day!